What’s a pumpkin without a SMILE? 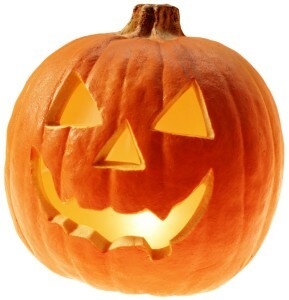 Home > Blog > What’s a pumpkin without a SMILE? Carving pumpkins is typically the first thing that comes to mind when I think of Halloween. After all, Halloween without Jack-o-Lanterns would just be weird…and wrong, wouldn’t it? During this time of year, pretty much everybody tries their hand at carving. It only makes sense that we recognize National Carve a Pumpkin Day. Having National Carve a Pumpkin Day on the SAME DAY as Halloween seems last-minute and after-the-fact. That’s exactly why I’m posting about it today instead of Halloween (in order to give you a little bit of time and a fair warning). It makes a little more sense to carve your pumpkins a week or so in advance and give your neighbors a chance to see your carving handiwork. Your pumpkins won’t go bad in just a week’s time. You can trust me—I like to go ALL OUT when it comes to pumpkin carving! MY pumpkins have already been out for a week! So get out your carving knives and find some spooky stencils to use, or you can flex your own creative muscle while you carve your pumpkin freehand. 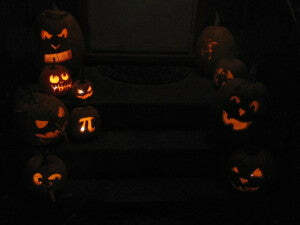 If you have enough pumpkins, it can be a lot of fun to make a night out of it. Enjoy some apple cider while you sit with friends or family and carve away! The more the merrier for an activity like this. You can exchange ideas for faces and help each other with stencils. Also, don’t forget to save your pumpkin seeds for a delicious and healthy, roasted snack! Thanks for reading, Blog Fans. Now go cut up some pumpkins!